Transforming enterprises through the application of emerging technologies and experienced leadership. When CNH Global needed to find synergies and rationalize their infrastructure after mergers with New Holland and Fiat, a Cimphoni consultant led the integration effort. The scope of the initiative included implementing faster order management systems that improved fill rates, new engineering systems to enable collaboration on product design across the Atlantic, a new procurement system and lean manufacturing technologies to reduce cycle time. Data center operations and network management were moved to Fiat while back office functions were consolidated at Case. Through these efforts, the IT budget was reduced by $75 million (15%) and direct material costs were reduced by 3 percent. Realizing the full potential of Business Intelligence (BI) across the enterprise is a clear priority for many businesses, including Sub-Zero Wolf, a large luxury home appliance manufacturer. Cimphoni led the development of a business intelligence strategic roadmap and provided an Interim BI Manager to create a unifying BI framework for the company. Over six months, we successfully aligned business intelligence initiatives with overall business objectives, built an Operational Data Store, increased development velocity by 50%, mentored and transitioned an internal architect to the new BI Manager role and created an ongoing prioritization and execution process. The Cimphoni team embraces the premise that technology can drive amazing innovation and transform businesses. 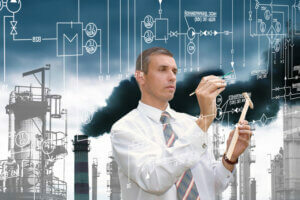 These insights can be found in our white papers, produced by our highly experienced technologists and business leaders on subjects such as technology-enabled transformation, creating enterprise agility, improving customer experience, incorporating elements of machine learning (artificial intelligence), creating an "intelligent" enterprise, harnessing big data, and exploiting the Internet of Things and Smart Manufacturing capabilities to improve products and services. 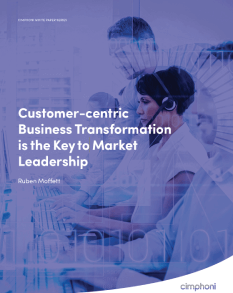 Businesses and entire industries have been turned upside down seemingly overnight by new market entrants that correctly identified and capitalized on ways to provide better customer experiences. 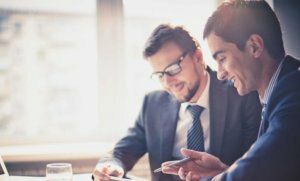 Learn more about these success stories and how you can replicate them for your business in our latest white paper. Security and regulatory compliance are no longer the enemy of effective and efficient customer experience design. 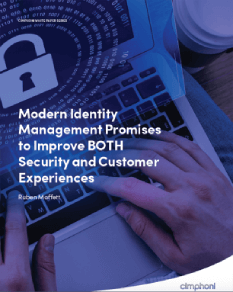 In this white paper, learn how leading companies are providing a better CX while at the same time leveraging more secure forms of identity management. Data is the new currency of crime, and the growth of mobility, cloud computing, “bring your own device” policies and the Internet of Things are targets for cyber criminals. This white paper is a must-read for organizations concerned about the strength of their cybersecurity programs. 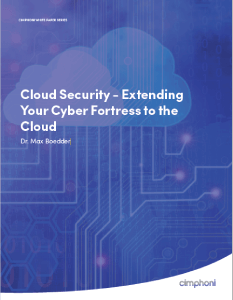 The transition to cloud computing is transforming business and IT departments worldwide, yet all too often, security is an afterthought. It shouldn’t be. 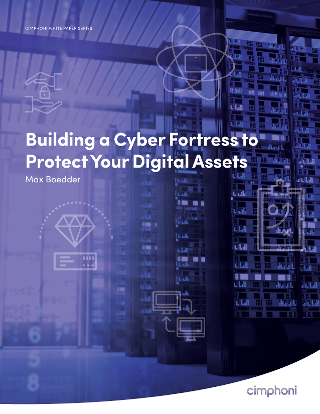 Download this white paper to learn how to create a cloud-based cyber fortress, with layers of security to protect your organization’s assets. Our team of seasoned business and technology professionals have walked in your shoes. We understand the pressure to develop innovative, customer-focused solutions that can be implemented under tight deadlines. We also know how to lead change when speed-to-market determines success or failure.